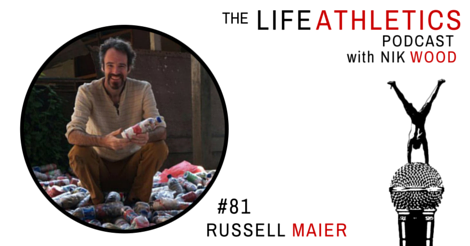 Name: 81 Russell Maier Life Athletes, hello and welcome to episode 81 of the Life Athletics Podcast! Today’s guest Life Athlete is Russell Maier. Russell travels the world and through the art of collaboration he works to transform problems into possibilities. From pollutions, to solutions, from grey to green. He lives in the moment to bring about a brighter tomorrow. I must integrate with the local people. Habit of Action: Learn the language. "I’m really good at orchestrating collaborations." “Let's make a mandala together"